A quick thinking gas station clerked helped police get a picture perfect image of a would-be robber in Weston on Sunday. Broward Sheriff's Office detectives say the man tried to enter a Mobil gas station on Weston Road, but the clerk wouldn't buzz him in until he removed his bandanna and hoodie. 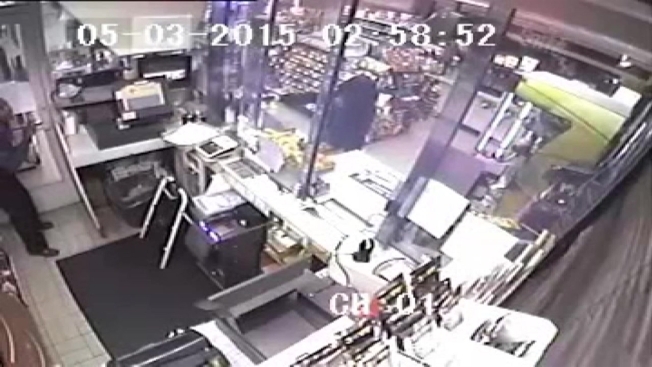 The would-be robber did so in full sight of surveillance cameras. Once inside, the man covered his face again, pulled a gun and demanded cash - but the clerk, protected by a safety enclosure, wouldn't budge. The robber gave up, leaving the gas station in a black car without any money. Police are offering a reward of up to $3,000 for information leading to the arrest of the man behind this foiled robbery. Anyone with information is asked to contact Broward Crime Stoppers at (954) 493-TIPS.